Our exclusive B-School bonus is available February 19-March 1. We've created our biggest B-School Bonus Bundle ever, to make sure you're supported and inspired daily to complete the program—with your own power team of astrologers. Creating your own business is extremely brave. And we want to make sure you succeed at it! 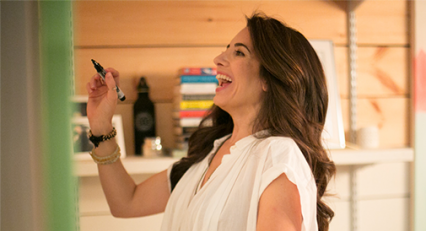 Marie Forleo's B-School is THE best foundation for your heart-centered, conscious business. We know, because we followed the program ourselves! 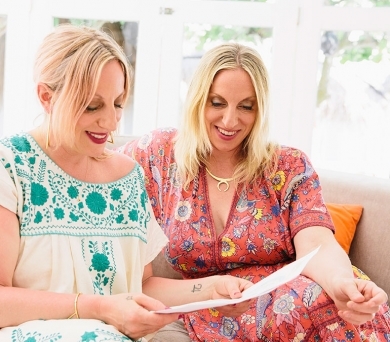 Our 2019 B-School Bonus Bundle is your cosmic launch companion: business advice that's perfectly aligned with YOUR one-of-a-kind astrological blueprint! When you register for B-School through our unique partner link, you'll unlock six weeks of exclusive access to us and our astrology expertise—along with tools and teachings you can use forever. The first 50 people to register will get a private 1-on-1 astrology chart reading with us by phone or Skype. These are the ONLY readings we'll do this year...because we save this premium service for world-changing leaders like you. 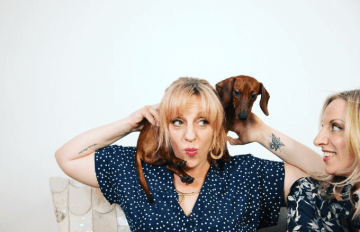 ALL participants will have the chance to apply to have your chart and business workshopped in our weekly livestream—an "astrological audit" to ensure you're aligned with the stars. Synced to the weekly themes of B-School, we've designed an intimate 6-week incubator group with Q&A, livestreams, guest experts and cosmic tools to help you thoroughly navigate the roadmap—and starmap—to your success. Our Astropreneurs 6-week incubator will ensure you stay supported, inspired and accountable to your dreams and goals. Together, we'll dive into all the opportunities and skills that are unique to YOUR chart. Let's launch your dream career with star-powered support! 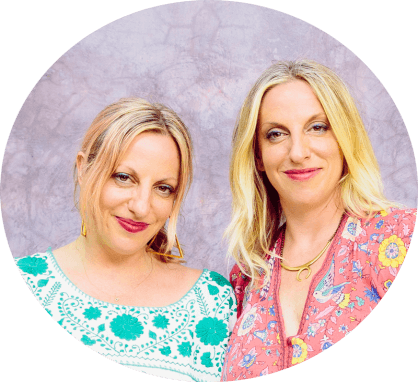 "The AstroTwins' business readings are SPOT ON! Their insights help me make key decisions for my fast-growing company. They'll give you priceless information about yourself and your business that is both grounded and inspiring. Their intuition is off the charts and they've become one of my ‘secret business weapons.’ I cannot recommend them enough!" You're taking a huge step to create your dream life and we're here to support you personally. We can't wait to talk to you about your chart and all your opportunities for success! Note: To be eligible, you MUST sign up through our unique link from February 19-March 1, 2019. A special community to guide you by the stars. We jam with you live and tackle questions. We'll teach you simple ways to clarify your business strategy and clear away blocks to success, using your astrology chart. A special B-School Astropreneurs private Facebook group to support each other through the course and with our businesses, with special guests and easy lessons to help you integrate B-School. 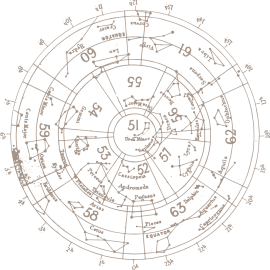 We will invite some of our favorite specialists and strategists to deepen your experience of your chart through rituals and practical guidance. Join us for B-School now! B-School Registration is open February 19-March 1.
yours when you register through our unique link! Let's dive into your chart and explore all your possibilities for crafting a career path, business strategy and path that's aligned with YOUR stars. Our VIP Astropreneurs Incubator includes a private Facebook Group. 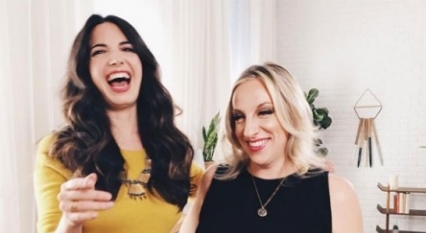 You will be astrologically guided through B-school with Ophira and Tali over 6 weeks. Not on Facebook? You'll receive all the weekly group emails, resources and replay links to follow along. All Cosmic Success Incubator participants will have a chance to apply for a live "astro-audit" where we'll (lovingly!) review your astrological chart, branding and online presence-in-progress in one of our weekly live sessions. Get a copy of The AstroTwins' 2019 Planetary Planner in your choice of paperback or digital ebook. Chart your business moves and plan it by the planets all year long with the most important career days of 2019 mapped out for you!